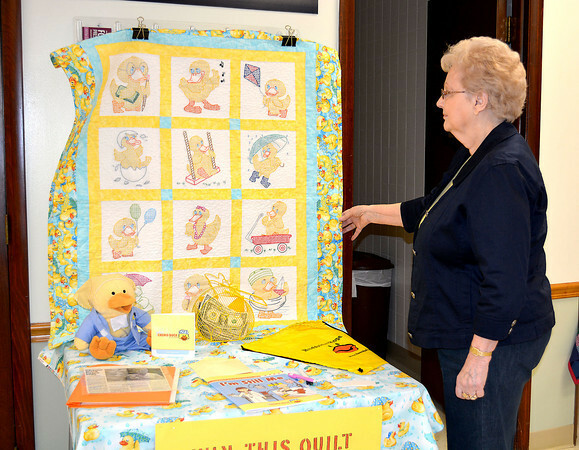 Nita Motogawa, a board member of the Effingham Home Extension group, looks at a quilt she and other board members to raise money for Chemo Ducks, toys given to children with cancer. The quilt was on display Saturday at the Home Extension Quilt Show in Effingham. The unit was able to buy 17 ducks with money raised from last year's quilt.